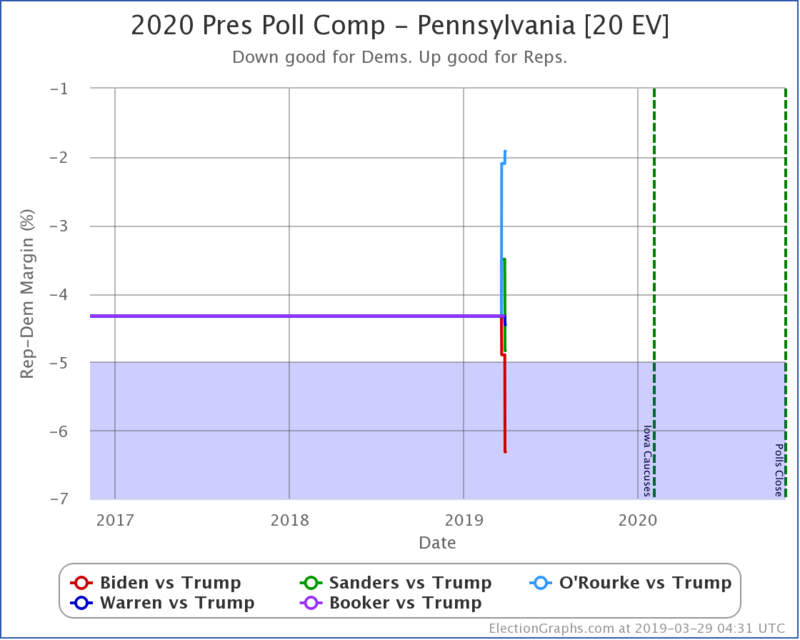 Since the last update, Emerson released a new poll in Pennsylvania. 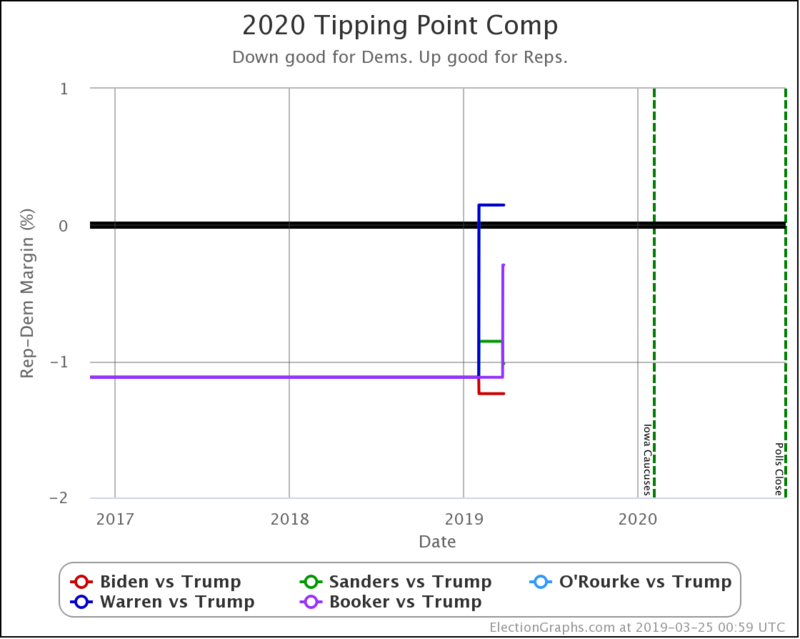 I'm starting to feel like I keep repeating myself, but the story of the state level polls so far continues to be Biden doing better than other Democrats against Trump. The newest update is just the latest poll to move things in that direction. 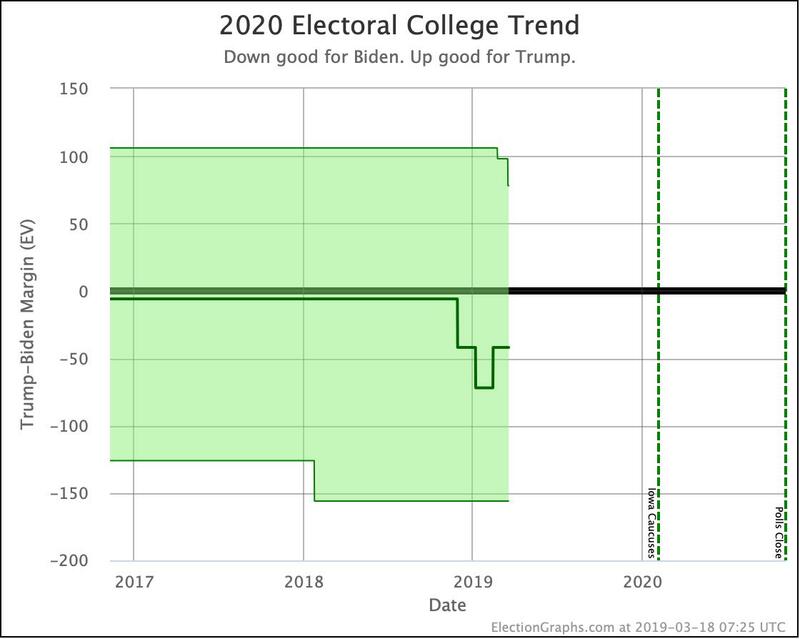 The upper side of that chart shows the optimistic side for Trump dropping from a 106 electoral vote win to only a 38 electoral win as more and more polls show Biden with more strength than the simple average of the last five elections would have predicted. Looking at some of the other candidates as well, we see this trend is not universal at all. Biden and Warren have improved in this view, while Sanders and O'Rourke have gotten weaker. Booker hasn't yet moved this metric. Biden ahead of the pack as usual, and the only one in "strong" territory against Trump. Sanders and Warren are also stronger than the "starting point." Nobody has polled Booker in Pennsylvania so far. 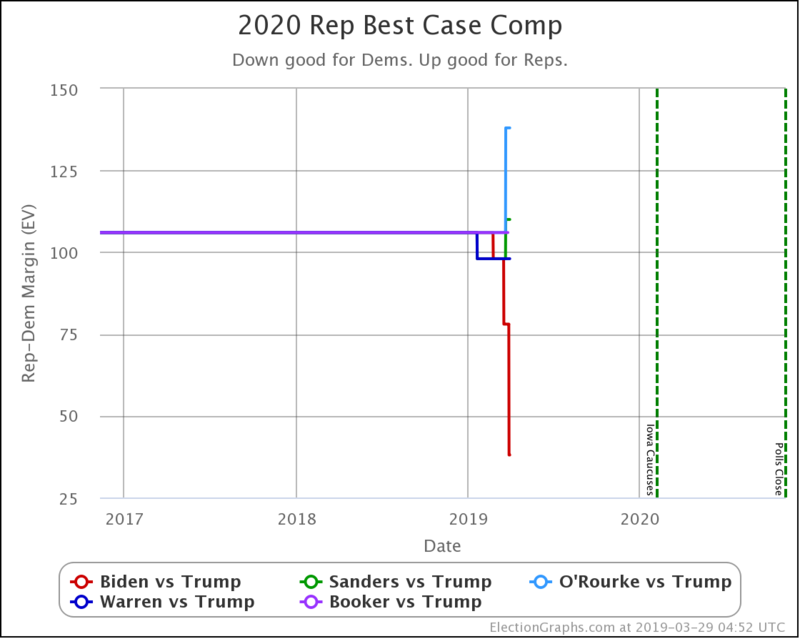 O'Rourke though is looking weaker. 585.2 days until polls start to close.